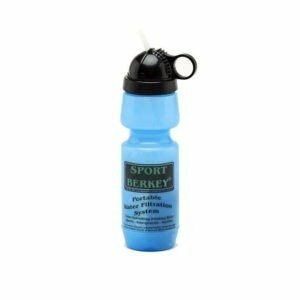 The Berkey Light is constructed of a non-BPA/BPS copolyester, which does not retain or leach any foul odors into your water. It’s see-through, so you can quickly determine the amount of water you have in the upper container. It is a lower cost, more portable and lightweight alternative to the stainless steel models of this brand. As for filtration abilities, the unit also offers the same quality of the produced purified water. The system is compatible with PF-2 filters, which you can purchase separately. 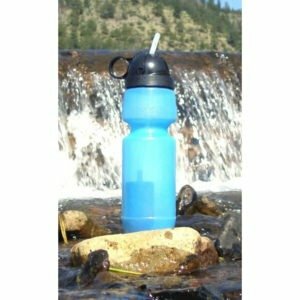 It is made from a non-BPA/BPS co-polyester, which does not retain or leach any foul odors into your water. Fragment resistant and essentially unbreakable. It does not require any energy sources for purification because it is gravity-powered. Its purification elements can be extendedly used to purify up to 7 gallons per hour. The system stands 26.5” in height with base and 9” in diameter. 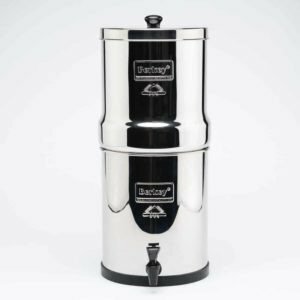 The Berkey Light water filter can be used in any situation, although it was originally intended to be a lightweight, lower-cost, portable substitute for our bigger stainless steel items. It only weighs six pounds. The Berkey Light can hold up to 2.75 gallons of filtered water and can deliver sufficient water for clusters of up to 10 to 20 people. Berkey Light is a powerful Berkey purifier system that filters both untreated water and treated raw water from water sources such as streams, remote lakes, and other water supplies in distant countries. The Berkey Light house can resist breaks or fragments and us essentially indestructible. The malleable is not factory-made with or is comprised by any Bisphenol A. 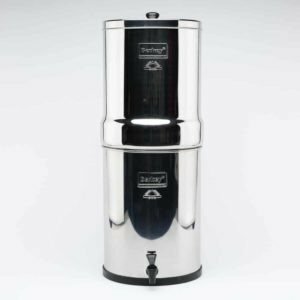 The Berkey Light filter system does not percolate filthy tasting plasticizers into your water and will not maintain the filthy odor and taste from waterborne impurities. It produces the relaxing and delightful sound of dipping raindrops, as the system filters the water. 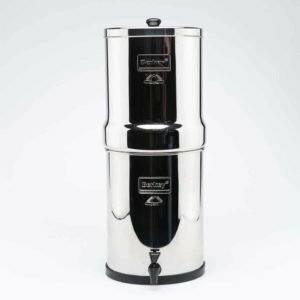 The encompassed re-cleanable and self-sterilizing Black Berkey Water Filter purifies water by eliminating cysts, viruses, pathogens, and parasites. It also removes dangerous toxins like VOCs, pesticides, herbicides, radon222, trihalomethanes and organic solvents. 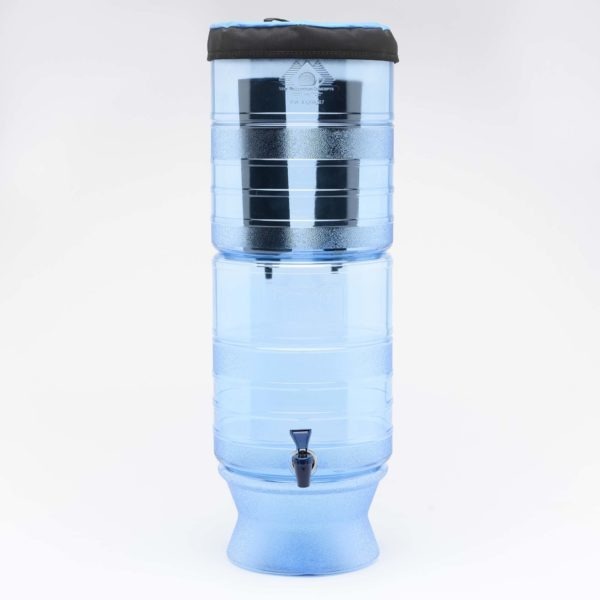 Berkey Light also lessens nitrates, sediments, mercury, and lead. Our microfiltration system outstrips other rivals by purifying out 99.99% of bacteria and viruses — the same also happens to other contaminants such as lead and chlorine — without the use of tough chemicals. The unique features of the Berkey Light Water Filter, it’s being light, durable and see-through, make it easier to define the quantity of water in the higher container without needing the water. It is possible to place the drinking water glass under the spigot without being placed on the edge of the counter of the outstretched base. Most Berkey Light water filter items come with two filters and two plugs and have the capability to receive four filters. 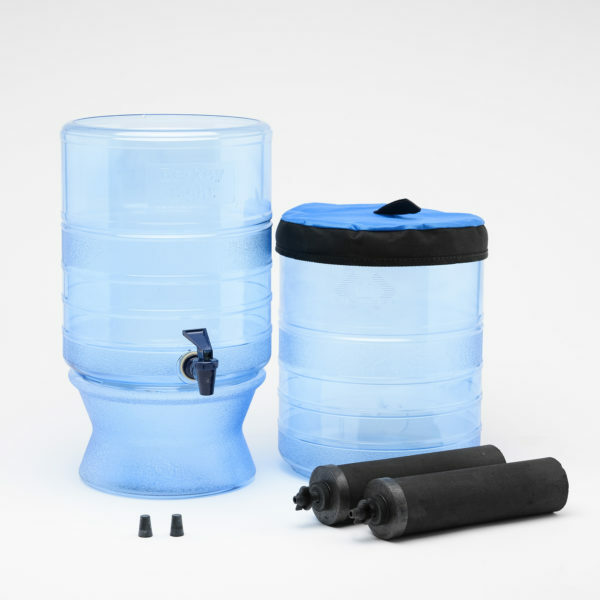 The two Black Berkey Filters come with a unit that is good for up to approximately 6,000 gallons of purified drinking water for about 2 centavos only, and it is the most cost-effective of our larger units. 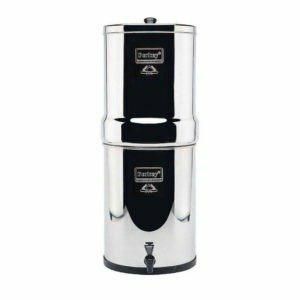 You will get an extra set of Black Berkey elements if you purchase a four-filter model. You can convert a larger system any time easily if you need a higher water current rate. Just simply eliminate the provided plugs from the uppermost container and add extra filters. 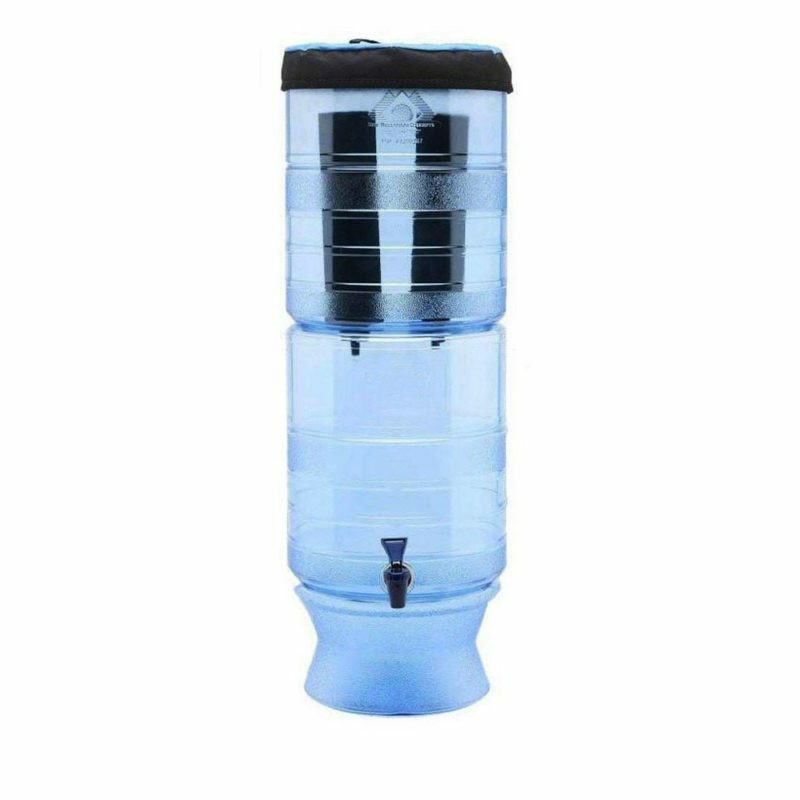 The Berkey Light water purifier comes with ample instructions and everything you need so that you can start using and enjoying the benefits of the great-tasting purified, clear and safe drinking water anywhere you go. It is made from a non-Bisphenol A copolyester that will not leak foul odor and taste. Has 2 cleanable Black Berkey Filters. Capacity for storage is 2.75 gallons or 10.4 liters. The maximum gallons that can be purified are 4 gallons per liter. 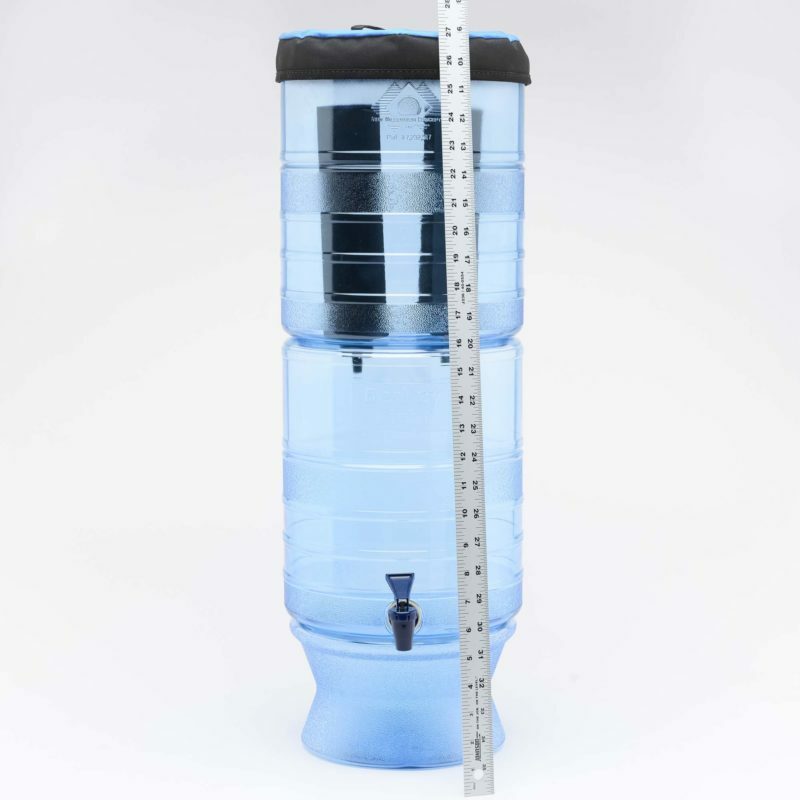 The system stands 26.5” in height and 9” in diameter. Have used Berkey’s for 20 years, they are the best! I don’t think the plastic cans are worth that much but the water tastes good and filters work great, so we are keeping it. Upon seeing this system in person I was skeptical. It’s so light and simple. But it’s amazing! I used to purchase my household 5-8 cases of water a week. This is a great money saver and promotes even my younger children to drink more water. I’d recommend this product to anyone and everyone who buys bottled water. I love this thing. the local water has a lot of chlorine and other “stuff” in it, and tastes bad. the Berkey makes it taste like pure rain water, actually better than that. I’ve stopped buying bottled water and in fact, I’m using leftover plastic water bottles to fill with Berkey water. I would and have recommended this unit to friends and family. STOP BUYING BOTTLED WATER AND BUY ON OF THESE!!!! We’ve already noticed an improvement in our lives. Now I can’t drink tap water- pure chlorine. If I boil tap water- it tastes metally compared with Berkey boiled water which is pleasant to taste. Great water taste! No empty water bottles to recycle! Love Berkey filters. Water taste great!! I had the stainless steel one too, this one is light and easy for travel. Been using one of these for a decade in the jungle in Papua New Guinea. It filters well and quickly, and is easy to maintain. Highly recommended! Q I have a table that is 13" wide x 10" deep. what are the dimensions of this without the stand? It looks round in pic but dimensions say 13"X10"X19"
A Diameter is 9", Height is 21" Without the base. A Water in our reservoir does not stand for very long. We use two to three gallons per day. The unit is made from a plastic that from my experience has had no impact on the quality of the water. I have filled other small plastic bottles that have stood for about a month, with no difference in taste. Q Can you use the fluoride filter in this model? Q What material is this filter made out of? A It is made of many different materials, which are proprietary. The only part that is publicly known is coconut shell carbon. Other ingredients are not shared, as people will steal the idea and copy it, even in the preparedness industry there are sharks. A my first question would be; "how many filters are you using"? My second question would be; "did you make sure that ALL the black stuff was flushed from the filters"? And last but not least; "how dirty is the water that you are putting through it"? 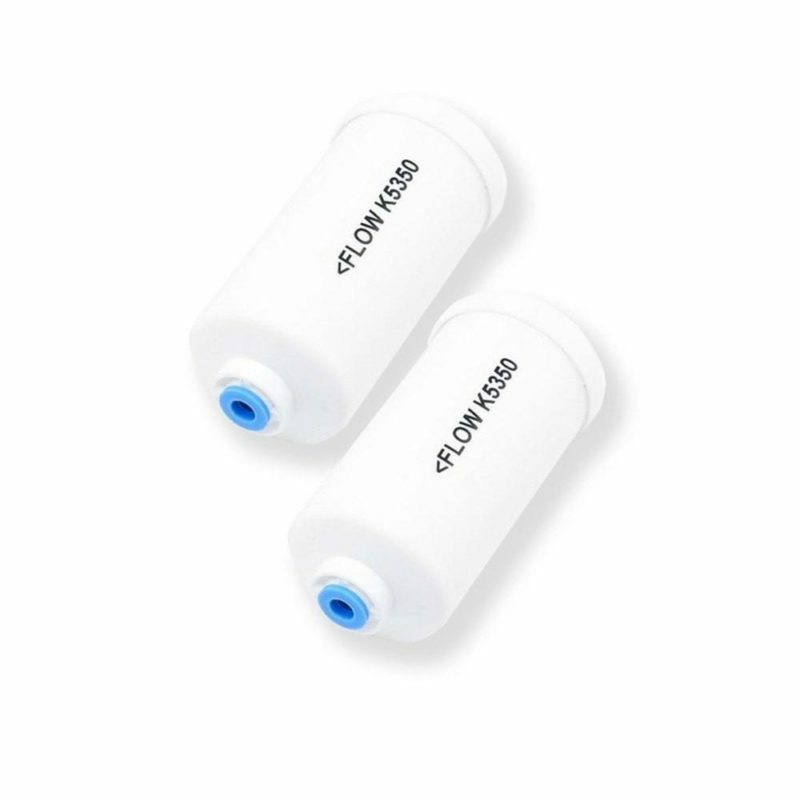 The more filters you use, the faster it will process the water. If you didn't get ALL the "black soot" out of the filters, that will impede that filtering process. And if you are putting some REALLY DIRTY water through the filters, it will take longer for the filters to process the water. I hope this is helpful for you, I love my Berkey, I haven't put any really dirty water through it yet, so I don't know how long it would take to process really dirty water, but I have 4 filters in mind and it filters tap water very fast. Good luck. Q Other than appearance, why buy the stainless model instead of the plastic? A The Stainless steel is more durable and has larger systems available than the Berkey Light. Q Does this come with the led lighting system?